Clearwater Beach weather in April is known to be beautiful. The second half of Spring Break in Clearwater Beach is warmer, with the average high temperature being 76° and usually only three days with rain during the whole month! This year, April 2018 is predicted to have highs ranging between 76° to 83°. The perfect weather to relax on the beach or even go for the long, but incredibly beautiful walk to Caladesi Island. Pier 60 Sugar Sand Festival: 4/13/2018 – 4/22/2018. Clearwater Beach’s Sugar Sand Festival is a 10-day celebration of the soft sugar sands and beautiful sunsets that Clearwater Beach is known for. The Sugar Sand Festival features over 21,000 square feet of sand-sculpted art crafted by world-class sculptors, live concerts on the beach, fun games for the whole family, fireworks, movies on the beach, and wine and craft beer at the “Sand Bar”. Reptilepalooz at Clearwater Marine Aquarium: Now through 4/8/2018! Learn all about these cold-blooded creatures with fun activities and up-close encounters with live tortoises, snakes, skinks and alligators. All activities are included with general admission. Clearwater Farmers Market: Every Saturday from 10am – 2pm! Click here for more information. Bay 2 Beach Music & Arts Festival at Coachman Park: 4/27/2018 – 4/29/2018. Enjoy live music by national and local musicians and bands including Hunter Hayes, Andy Grammer, Locash, and more! Click here for the full lineup and to purchase tickets. Yoga at The Dali in St. Petersburg: April Schedule available here. World Class Vintage Rock ‘n Roll by Phil Dirt & The Dozers in St. Pete: 4/2/2018 from 7:30pm to 9:30pm. More information and tickets are available here. Shaggy at Jannus Live in St. Pete: 4/5/2018. Gates open at 6:30pm tickets are on sale now. Tampa Bay Blues Festival in St. Petersburg: 4/6/2018 – 4/7/2018. Click here for more information and tickets. Florida CraftArt presents: “Dia de los Muertos – A celebration of Life” in St. Pete. For more information, visit www.FloridaCraftArt.org or call (727) 821-739. Dunedin Scottish Highland Games: 4/7/2018. More information and tickets available here. Right Around the Corner Brewery Grand Opening in St. Petersburg: 4/7/2018 – 4/8/2018. View more information on the grand opening here. St. Pete Tiny House Festival: 4/7/2018 – 4/8/2018. Buy tickets today! Los Vinos de Dali in St. Petersburg: 4/8/2018. Tickets to the boutique wine and tapas tasting at the Dali Musem available now. Shark Bite SUP Challenge in Dunedin: 4/13/2018. For more information and to register for the event, click here. Tarpon Springs Sponge Docks Arts & Crafts Show: 4/14/2018 – 4/15/2018. Visit SpongeDocks.net for more information. St. Pete Second Saturday Artwalk: 4/14/2018 from 5pm to 9pm. Open on the second Saturday of each month – rain or shine! Visit www.stpeteartsalliance.org for more information. Safety Harbor Beer & Burger Throw Down: 4/14/2018. This event features free beer samples from local craft brewers and of 30 of the best burgers from restaurants and food trucks all in the same place for you to vote on who is the best in the Bay. There is Live Music on stage all day, competitions, outdoor games, kids zone, and more. Event entry at the Safety Harbor Marina is $5; children and parking are free. Tarpon Springs “Night in the Islands”: 4/21/2018. Dinner, dancing and live entertainment at the Sponge Docks! AAC Men’s Golf Championship in Palm Harbor: 4/22/2018 – 4/24/2018. Click here for more information. Sunscreen Film Festival in St. Petersburg: 4/26/2018 – 4/28/2018. VIP Passes, Day Passes and Block Passes are available here. Island Earth Days at Honeymoon Island State Park near Dunedin, Florida: 4/21/2018 – 4/22/2018 from 11am to 5pm. Come out and enjoy live music on both days, kids crafts and activities, live animals and birds of prey presentations, food and drinks, and so much more! Click here to learn more. 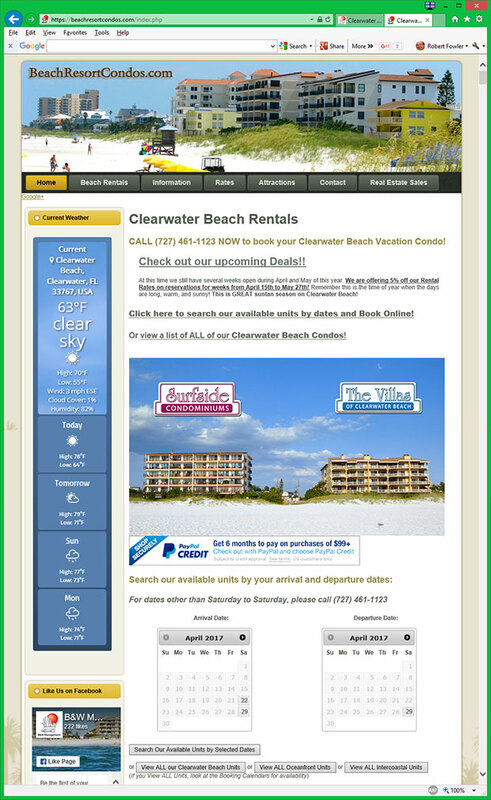 Clearwater Beach is known for its soft white sand beaches, family-friendly atmosphere and beautiful sunsets! While there are many great locations to view the sunsets on Clearwater Beach, some of the best views come from just off the beach – on a Clearwater Beach Sunset Cruise! The Clearwater Beach Marina is full of fun activities ranging from jet ski rentals, sailboat cruises, deep sea fishing, dolphin sighting adventures and more! Many include sunset cruises so you can enjoy the fun and a beautiful sunset! Set sail on the Schooner Clearwater! The custom built 52-foot schooner provides a relaxing Clearwater Beach sunset cruise for up to 36 passengers. The destinations of the 2-hour sunset cruise will be dictated by wherever and wind and tide will take the Schooner Clearwater! Sit back, relax and sip a cool drink of your choice as you sail towards the beautiful sunset on the Kai Lani Catamaran! The Kai Lani Catamaran is a custom built 50-foot catamaran with a spacious sundeck featuring abundant seating. Clearwater Beach has beautiful sunsets. But if you’re looking to see more than a sunset on your sunset cruise, check out Little Toot! Little Toot offers guaranteed dolphin sightings or the next trip is free! The tugboat shape of Little Toot creates a large wake that dolphins love to jump and play in! The boat’s deck sits low, providing close up sightings of the dolphins. Soft drinks, water and beer are available on Little Toot! If you’re looking for one of the most family-friendly activities Clearwater Beach has to offer, embark on Captain Memo’s Pirate Ship! Captain Memo’s Pirate Ship offers a sunset cruise that’s fun for all ages! The two-hour sunset cruise includes a treasure hunt, face painting, water gun games, stories and dancing for all ages – kids love it! A sunset cruise on Captain Memo’s Pirate Ship provides the kids with fun activities, drinks for adults and a beautiful sunset view for all! The Calypso Queen sunset cruise offers a breathtaking view of the Clearwater Beach sunset and a party full of dancing, tropical drinks and a Tropical Island Style Dinner Buffet! The dinner buffet includes mango glazed chicken, beef teriyaki and chilled steamed shrimp. The sunset cruise includes soft drinks, beer, wine, and rum punch! Looking for a romantic Clearwater Beach sunset cruise? The StarLite Majesty dining yacht offers great dining, live entertainment and dancing on their two and a half to three-hour sunset cruises. The dining service includes a full, restaurant-style menu featuring continental cuisine prepared fresh on board. The entertainment is a mix of live selections and a wide variety of recorded songs to satisfy any musical request. The StarLite Majesty also features a full bar and a large outdoor deck to provide beautiful views of the Clearwater Beach sunset.